Memorial Day, which takes place annually on the last Monday of May, is one of America’s favorite federal holidays because it officially kicks off the summer season. It is also a very emotional holiday for a lot of people because it is held in honor of all the U.S. Army’s fallen soldiers. The history of Memorial Day is much more complex than it might seem and dates back to the 19th century. There is no absolute certainty as to when and where the first Memorial Day was held. It has been documented, however, that several towns around the country started celebrating their dead shortly after the end of the Civil War in 1865. Towns from both the North and the South (including places in Illinois, Pennsylvania, South Carolina and Mississippi, for example) took part in this annual tradition. It soon became known as “Decoration Day,” in reference to the custom of decorating soldiers’ graves. The practice promptly caught on. 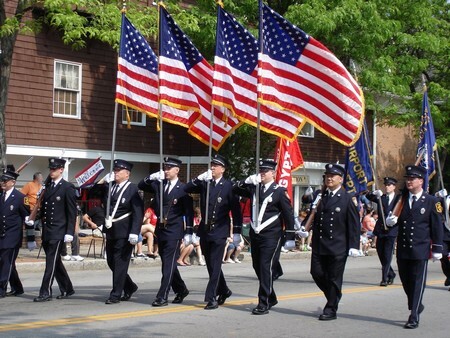 One town in particular became famous for its celebration of Decoration Day: Waterloo, New York, whose inhabitants started the tradition in 1866 and held it every year on the same date for a long time. Decoration Day became a national event in 1868 when Gen. John Logan, who was at the time at the head of a veteran’s organization, proclaimed its usefulness for the whole country. The first official Decoration Day took place on May 30, 1868, amid defiance from some Southern states unwilling to unite with the North so soon after the end of the Civil War. Decoration Day only officially became Memorial Day in 1967, even though that name had been used since the end of the 19th century and had become popular after World War II. A year later Memorial Day became a “uniform” holiday, set on the last Monday of May (instead of May 30). The rationale was for three major federal holidays (the other two being President’s Day and Veteran’s Day) to provide Americans with a long weekend every year. 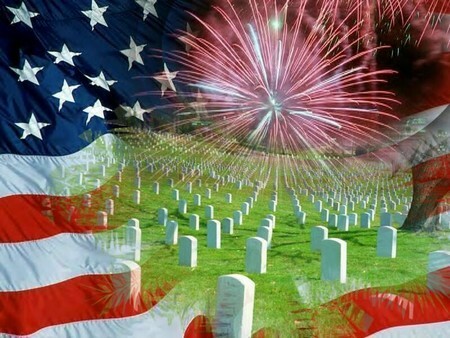 Americans now observe Memorial Day not only in commemoration of fallen Civil War veterans, but also in honor of all American soldiers who lost their lives in war. As is the case with many holidays, time has somewhat reduced the historical significance of Memorial Day in the minds of many people. Nevertheless, the American government still hosts a service every year in celebration of its dead soldiers. Arlington Military Cemetery traditionally hosts the ceremony every year with thousands of people in attendance. The Tomb of the Unknown Soldier, in particular, is honored, and the President addresses the nation. For the American people, Memorial Day still remains more than just a day off from work. It is customary, for example, to pay your respects at a cemetery or take a trip to Washington D.C. This holiday is also a merry one, as people celebrate the arrival of warmer weather. Additionally, picnics and barbecues have become hallmarks of Memorial Day celebration as the country gets ready for summer.